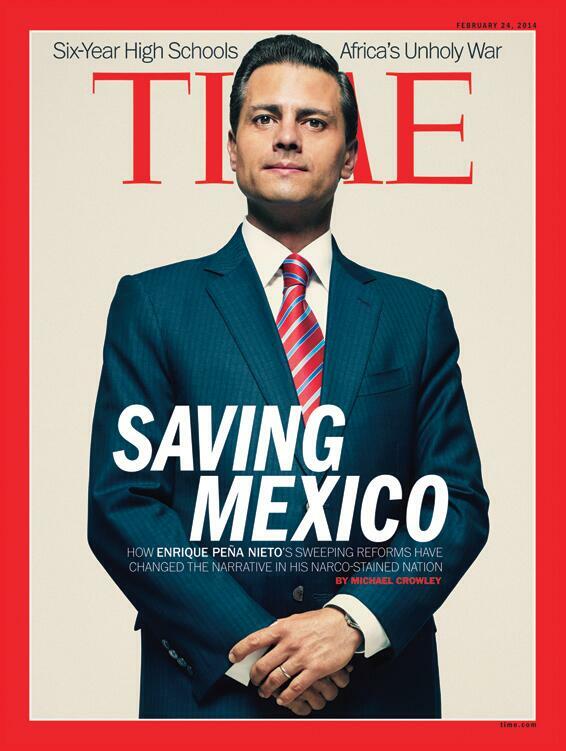 Last 16 February, Mexican President Enrique Peña Nieto made the front cover of TIME magazine. This issue spark off a heated debated in social media in Mexico, criticising Michael Crowley, the author, and TIME for allegedly “selling out” themselves to the Peña Nieto government. As Crowley rightly points out, Peña Nieto only won the presidential election with 38% of the votes and therefore it is evident that his detractors react this way. I agree that perhaps the title of the story would have been better with an interrogation mark at the end: “SAVING MEXICO?”, but I must concede that the author presents both sides of the same coin. He highlights achievements and strengths of the country, but also points out the numerous challenges that the current government still has to overcome. At the same time, I must recognise the sharp Mexican humor to transform the cover into this one. In any case, I strongly invite you to read the article (or Spanish version) and make your own judgement.